Bring a guest for free, if they haven't come to one of our lectures before! In Friday’s lecture, Dr. Costello demonstrates how our environmental crisis and our collective fear of death stem from the same ideological root. She discusses our fear of change and our fear of loss—anxieties that stymie the spirit and inhibit growth. She explores how changes in our bodies and in our life-circumstances may be harnessed as a motive-force for reconnecting us to our roots in nature, opening us to mystery, and honing our intentions in regard to self, others, and our work in the world. Images, stories, and dream analysis will throw light on the archetypal forces--both fierce and generative—that promote psycho-spiritual maturation. Special attention will be given to the recurrence of cosmological and elemental themes in dreams of individuals undergoing life-transition. 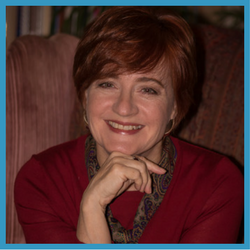 Melanie Starr Costello, Ph.D. is a licensed psychologist, historian, and senior Jungian analyst in private practice in Washington, D.C. She is a graduate of the C.G. Jung Institute-Zurich and earned her doctorate in the History and Literature of Religions from Northwestern University. She formerly served as Assistant Professor of History at St. Mary’s College of Maryland, was a Trustee for the Consortium for Psychoanalytic Research in Washington, D.C. and is currently Director of Education for the Jungian Analysts of Washington, a member of the Board of the C.G. Jung Foundation of New York and a training analyst for the C.G. Jung Institute-Zurich. Dr. Costello has taught and published on the topics of psychology and religion, medieval spirituality, aging and clinical practice. Her study of the link between illness and insight, entitled Imagination, Illness and Injury: Jungian Psychology and the Somatic Dimensions of Perception, is published by Routledge Press.